What Is Drop Foot And How Do You Treat It? Drop foot, or foot drop, is a condition that many individuals have due to various underlying causes. Many hardly seek medical help until the condition has become too bad or if they have had drop foot their whole lives. 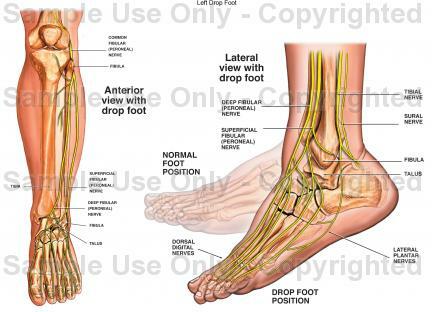 You might be wondering what drop foot is exactly and the different ways in which to treat it. This blog is going to explore what this condition is, what the symptoms are, and if and how you can treat it. As we will say throughout this blog, it is vital you seek medical care if you believe you have drop foot as it is a symptom of a much larger underlying cause. Drop foot is a condition where you cannot lift the front part of your foot, dragging it along the floor as you walk. Some people have very severe cases of thisand are already undergoing treatment, whereas others only suffer from this mildly. Those who have mild cases of it attempt to over compensate their dragging foot by lifting their knees higher, allowing their foot to come off of the ground. This can, in fact, cause worse damage to your body and make your condition worse. However, drop foot in itself is not a disease,but is a condition and symptom of much larger problems. These problems can be nerve damage (which is the most common reason for drop foot), neurological issues such as multiple sclerosis and various muscles diseases. This is why it is vital to not overcompensate, and to seek medical help immediately so that you can get proper care quickly. The symptoms of drop foot are simple, but you can have additional symptoms depending on what is causing your foot problem. The obvious symptom is one we have already discussed; you cannot lift the front portion of your foot, which causes you to drag it as you walk. You might find yourself lifting your thigh as if you were attempting to climb stairs when just simply walking. You might also feel numbness or tingling in your toes. Seek medical care if you start experiencing this condition, especially if you have the symptoms of a stroke and other serious conditions that attack muscles or nerves. Can You Treat Drop Foot? Getting physical therapy to strengthen your muscles and improve your knee’s capabilities with range of motion. Physical therapy can also help if you have pinched nerve that is causing this problem. Nerve stimulation is another great way to treat this condition. It might help the nerve that causes drop foot to allow you to lift your foot normally. Again, the effectiveness of this treatment depends on your underlying condition. 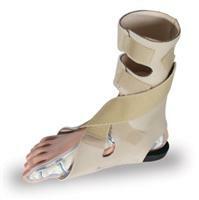 Braces or splints can help you move your foot correctly and keep you from overcompensating for the drop foot. 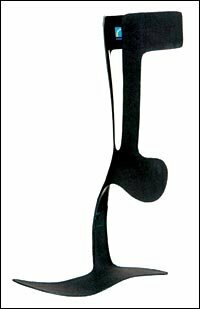 These often fit into your shoes, helping your foot to stay in its normal position, helping you walk correctly. The treatment method many doctors avoid unless necessary is getting surgery to help correct the drop foot problem. Orthotics will help with foot drop and the underlying conditions. 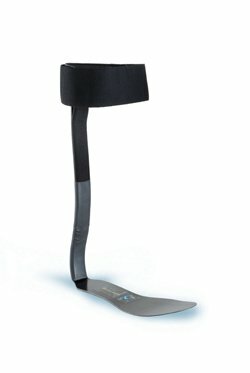 You can get custom shoes that will allow for splints to be placed comfortably inside, helping your foot to lift when you walk. 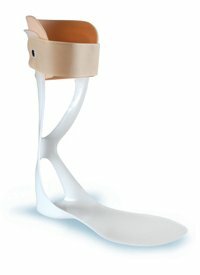 As mentioned above in the treatment options, you can get braces or splints, which are available at The Orthotic Shop. If you go to a podiatrist about your drop foot condition, you can have them request custom orthotics that will work perfectly for you. If you believe you have drop foot, then it is vital you seek medical help immediately to help begin the treatment process for both the foot and the underlying cause. Once you receive a diagnosis of this condition, The Orthotic Shop is a great place to shop for orthotics, braces, and splints. Take a look around our shop to find something that is perfect for you. Contact us today if you have any questions.